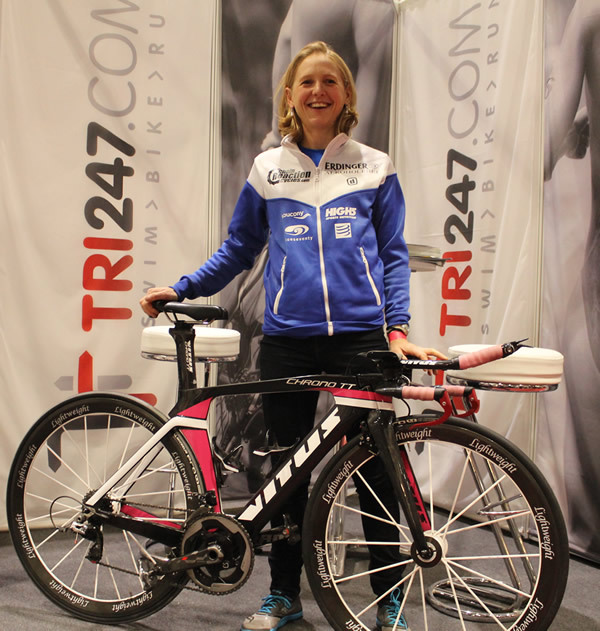 Ironman Wales and Ironman UK winner in 2013, Lucy Gossage, was at the Triathlon Plus Show on Sunday representing her sponsors Chain Reaction Cycles / Vitus Bikes / ERDINGER Alkoholfrei - as well as giving a talk on her 'Age Grouper to Pro' transformation that we have followed in great depth in recent years. 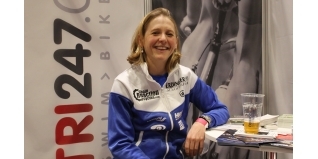 We took the opportunity to chat to Lucy who has recently completed her PhD and now has a two year sabbatical from her medical career to race as a full-time Pro triathlete. Recently returned from three weeks training in the Canaries with fellow ERDINGER Alkoholfrei athletes including the Raelert brothers, Lucy talks about her 2014 season plans which currently include Ironman South Africa and Ironman Lanzarote, as she seeks to gain sufficient qualifying points to race at the Ironman World Championships in Kona this coming October. Before that, she'll be racing on UK soil at the Ballbuster Duathlon. For a detailed look at Lucy's new bike for 2014, check out this feature.